Posted by thetickthatbitme in Diagnosis, Patient Stories, Treatment. When I started this blog, one of my goals was to somehow extend the community and knowledge base of my support group to other patients out there in the ether. Up to now, I’ve been doing this by sharing research, either that was introduced to me by my doctor or members of the group or that I stumbled upon on my own, and by sharing my personal journey. A few weeks ago, a third way of accomplishing this goal occurred to me: to let the voices of other patients from the support group speak through this blog. Today’s post is my first attempt at that. Leigh is a member of my Borrelia hermsii patient support group who has generously agreed to share her hermsii story. If you have questions for her, feel free to leave them in the comments. 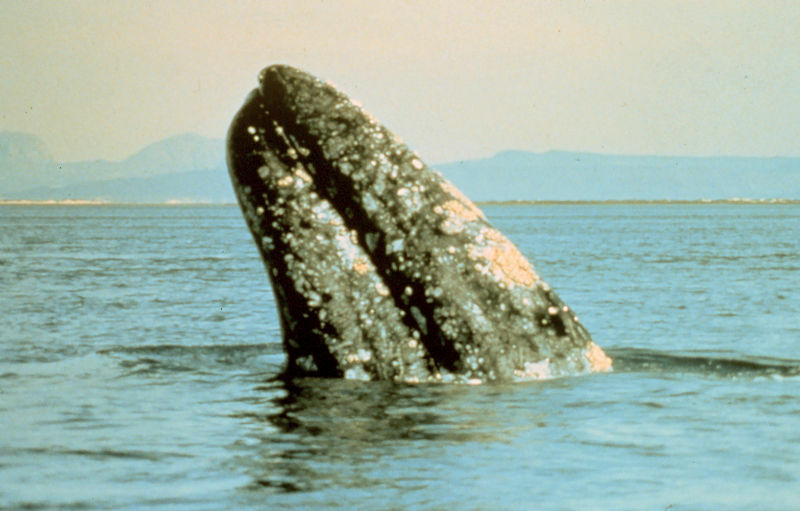 I moved to a beautiful coastal area and once I discovered that I could watch grey whales migrating south from the shoreline, I would hike out, sometimes, twice a day to see them. I never saw the bug that bit me, but I had what I thought was a mosquito bite that developed a red ring around it about a week later. A couple of days after the bite, I left for China where I spent much of the trip sick, which I attributed to the trip. I caught a cold with a fever, but then got somewhat better. Two days before we left for home, I had terrible stomach problems. The Chinese airports have fever detectors you have to walk through before you can board any plane. I loaded up on Advil, Tylenol and Pepto Bismol to get home. Still, all of my symptoms seemed explainable; travel, food poisoning, jet lag. It was now week three and I at least knew that a rash around a bug bite wasn’t a good thing, but when I made an appointment with my dermatologist he wasn’t available for another three weeks. I didn’t know I needed to drop everything and run to any doctor, so I waited. I kept getting alternately sick and better. By the time I saw him I was having terrible headaches. I was also losing concentration and feeling a bit “foggy.” The dermatologist immediately thought it was Lyme disease because of the red ring, and prescribed a very low dose of antibiotic. On the way to pick up the antibiotic, I drove off the road, hit a tree and wrecked my car. After a little research, I found a local Lyme specialist who prescribed three antibiotics, Zithromax, Ceftin and Flagyl, each twice a day. After two months of this, it wasn’t working. I had stomach problems. I was very weak, tired, I had terrible headaches and my neck hurt so bad I couldn’t hold my head up very long. I couldn’t drive. I would sit at my computer unable to use programs I had been proficient at. I would repeat myself in conversations. I would make phone calls at odd hours, unaware of the time. I couldn’t do simple math problems. I couldn’t bear loud noises or bright light. I lost my sense of balance. I was rarely up or awake. I thought I was dying. I was neglecting my son and my husband, who insisted I look for another doctor. I made appointments with four different doctors. Luckily, the first was a neurologist who insisted I make an appointment with a specific infectious disease specialist in our area. My appointment wasn’t for a week, but I realized I wouldn’t make it through the next week and he saw me the next morning. He was so off the wall and quirky that I had a friend of mine, who is a doctor, make sure he was a legitimate doctor! He told me that if he could make me laugh, he could make me better. He retested me and though my initial tests had shown a slight positive for Lyme, this test showed a strong positive to Borrelia hermsii, which explained the weak cross reaction for Lyme, another Borrelia. All of the literature says Borrelia hermsii doesn’t exist at low altitudes, but I know what I know, and I was at sea level when I was bitten. I asked the doctor what made him even guess Borrelia hermsii? He said it wasn’t rocket science; Borrelia hermsii is more prevalent in the west, and Lyme in the east. The doctor prescribed a treatment that I had read showed promise, intravenous Ceftriaxone for six weeks. At this time, I was introduced to another “Lyme” sufferer who tried to talk me out of seeing this doctor and wanted me to see her Lyme specialist. We decided to compare notes in six weeks to see who was doing better. At the end of my treatment, there was no comparison between us. I was much better and she soon became his patient. She also had Borrelia hermsii, not Lyme. I continued to be tested; my results have not gone down to a negative reading and may not ever. It showed up again 6 months after the first treatment in the form of a four-fold rise in my titer, but at least I caught it before I had raging symptoms again. I was retreated with Ceftriaxone followed by Ertapenem. It’s now been almost a year since the second treatment and I have my life back. I feel focused. I’m working and doing things with my family. I’m planning a trip to Alaska with them this summer. I think the neck damage will always be with me, but even it’s better and at least manageable. I am eternally grateful to the miraculous chain of events that led me to this doctor and this treatment. I was fortunate that I discovered a doctor who believes in Lyme disease and other tick borne infections. There are many doctors out there, along with uncooperative insurance companies, who doubt that Lyme and Borrelia infections even exist. Because of this there are many Borrelia infections that we currently don’t have tests for. I have encountered some skepticism in the medical field especially as I seek treatment for the physical damage that was caused by the infection. I believe that when you know something is wrong you have to be your own advocate. Only time will tell if I’m over this. At least I’ve quit running into trees! Ceftriaxone (Rocephin): Is your doctor following directions?